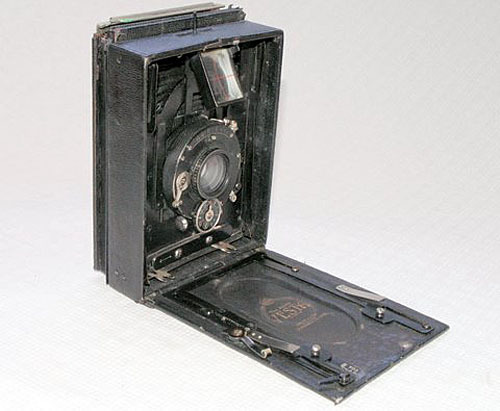 FOLDING CAMERA. 1910. 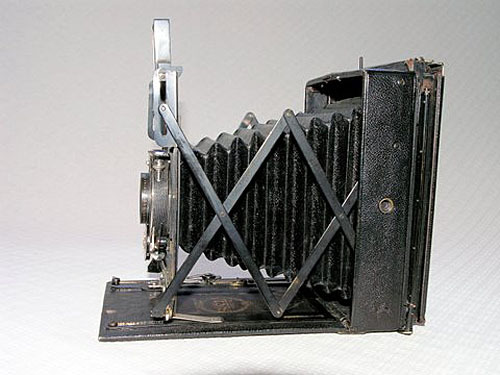 A high-quality, drop-baseboard camera by a top-class maker, made in leather-covered aluminium at a time when wood and brass cameras were still co-existing happily with the relatively newly introduced metal folding ones. Compact folding by means of trellis struts at either side, with rising and cross front movements. Lever operated, scale-focusing mechanism, on baseboard, 2 yards to infinity. 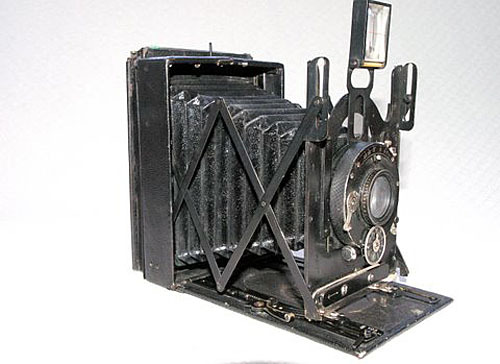 Direct vision viewfinder. Ross Homocentric 5in/f6.3 lens.